Get ready to trade... with a vengeance. Well now, what an unusual reveal. In a recent AMA on Reddit, CEO of Frontier Developments David Braben let slip the Xbox One release date for Elite: Dangerous. No press release fanfare, confetti, or even a big drumroll. Just a single line of text that read October 6, 2015. The long-running Elite series got its start back in 1984 and quickly made a name for itself as a totally radical open world combat/space trading game. The bulk of the gameplay in the updated, modern follow-up to the series is focused on combat, resource gathering, trading and exploration. Online multiplayer is largely competitive in nature, a sort of "first to shoot gets the loot" scenario. There are special co-op missions you can initiate that give players cause to band together in teams, however, which is good enough in our book. 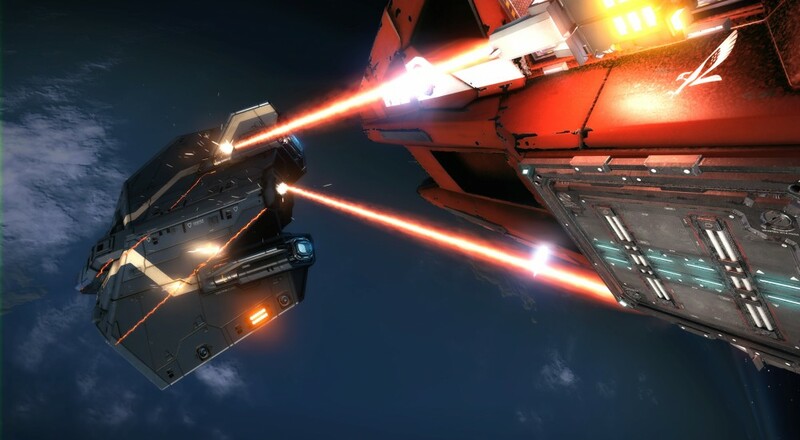 Elite: Dangerous is one of the first games in Microsoft's Game Preview program, which is basically Steam Early Access for Xbox One users. Buy the game now at a discounted price, help beta test it, then get the full version once it's released. Which happens October 6th, in case you didn't catch that above. The PC version is already out and is currently available to purchase, and a PS4 version may be in the works.